Income tax is the tax you pay on your income, usually directly taken out of your paycheck. Everyone who works in the United States should be paying income tax on their earnings. Income is more than just wages and salaries too. If you earn rents from rental properties, investment income, interest on your savings account or bonds, or any other revenue stream, you will probably owe some income tax on it. For most people, income taxes are straightforward – employers are required to withhold the appropriate income tax amount from your paycheck, which is then paid to the government without any extra steps. If you are self-employed or work as an independent contractor (like a driver for Uber), it can be a bit more complicated. In this case you are required to report your income and pay any taxes owed at the same time. Who needs to file an income tax return? All US citizens and everyone working and living in the United States needs to file an income tax return each year. By extension, all citizens and workers in the US need to report their income, even if that income is earned in another country. 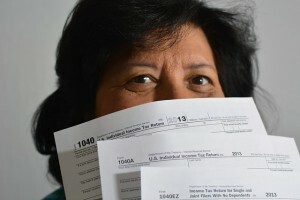 US citizens use their Social Security Number to file their taxes. Even US residents who do not work need to file income taxes if they received some sort of income or compensation over the previous year. This includes things like rental earnings and even unemployment benefits. Workers who work in the United States without a Social Security Number (both legal immigrants and undocumented workers) are still required to pay income taxes. Since some of these workers may not have Social Security Numbers, they can request an Individual Tax Identification Number (ITIN) from the IRS to use to file their taxes. ITIN numbers can only be used for tax reporting purposes, and undocumented workers can avoid breaking income tax evasion laws by obtaining a ITIN number and filing their income tax returns. US Citizens who live and work in other countries are also required to file their US income taxes each year or risk heavy fines. While citizens do need to file their taxes, most citizens living and working outside the US are exempt from actually owing any tax, unless they have exceptionally high incomes. What do I need to file my income taxes? In addition to a Social Security Number or Tax Identification Number, there are additional forms needed at the minimum to file your income tax. The W-2 form is a document all hourly and salaried employees will receive from their employer at the end of the year (usually in January, covering the previous year). 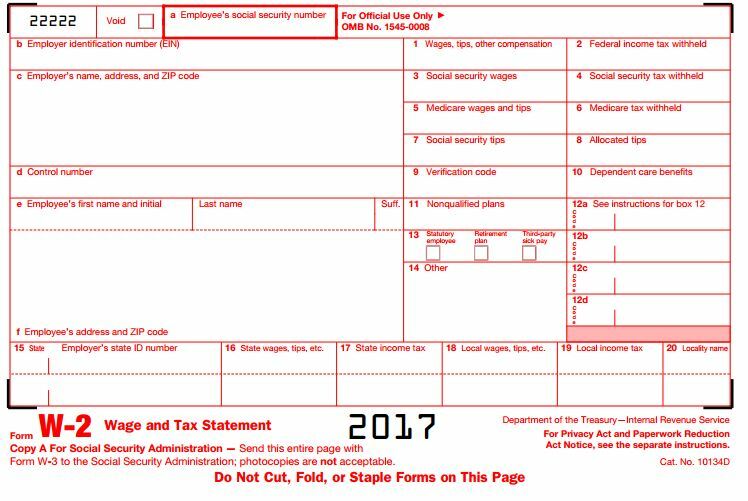 The W-2 form is a fairly basic form outlining the total wages earned in the previous year, along with how much Social Security and Income Tax was already withheld by the employer and paid. Employees receive their W-2 form already filled out from their employer. You will usually receive 3 copies of your W-2 form – one for your personal records, one to be submitted with your federal tax return, and one for your state tax return. You can file your income taxes with just a W-2 form if you received no other income or compensation in the previous year. Form 1099 is used when a person needs to self-report income. This includes independent contractors, and anyone receiving income from a source that did not provide a W-2. Form 1099 is more complicated than the W-2, both because there are many more types of income that can be reported, and because anyone who uses it may need to fill out all the information themselves (although whoever pays you might provide you with a pre-filled version). This requires more skills at keeping detailed financial records than the basic W-2. The basic income tax return form in the United States is known as the Form 1040. The basic use of the form is to add up all your income from the year from all sources, calculate how much tax you have already paid, subtract any deductions you qualify for, and see how much of a tax return you should receive or how much tax you currently owe. The Form 1040 can be long and complicated as you have more sources of income to report and more deductions to claim. To make the process of filing a tax return easier for people with no dependents and few investments, the simplified 1040 EZ form was developed. “EZ” is short for “easy” – the 1040 EZ is a simple one-page tax return, designed to make filing taxes as fast and painless as possible for young people and those with few deductions. Contact Information – This will include your name, address, and Social Security Number. You can file the 1040 EZ form jointly with your spouse if you are married, in which case you would provide his or her information as well. Income – This information should come directly off of your W-2 form any any interest tax forms your bank sends you for savings accounts. This also includes any unemployment compensation you may have received. Payments – This also comes from your W-2, which lists how much tax was already withheld and paid by your employer. This is also where you can calculate the total amount of tax owed. 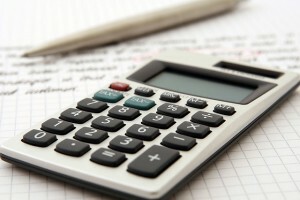 Refund or Tax Owed – The final calculations show how much refund you should receive, or how much income tax you need to pay. If you should be getting a refund, you can provide your bank routing number for a direct deposit. If you owe tax, there are instructions included on how to pay it. The Form 1040-EZ is a simple and attractive way for many people to file their taxes, but there are many situations where it is not accepted. It is easy to collect your return. All income tax return forms include a place where you can put your bank routing information to get your return direct deposited to your bank account with no extra steps. If you prefer receiving a check, the IRS will mail a check to the address you posted at the top of the form. Taxpayers have 7 years in the United States to file any corrections. 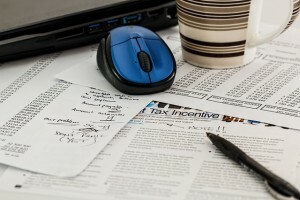 Usually this would be to claim deductions you may have missed, or report income later to avoid tax evasion penalties. To file an amended tax return, use the Form 1040-X, which is designed specifically for later corrections on a previous return. The IRS may also apply corrections directly based on their own calculations of your taxes owed. 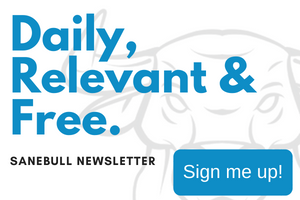 If this is the case, they will generally mail you a letter explaining how their calculation differs from theirs, along with a method to dispute their calculation. The IRS has been known to adjust returns both up and down – they are mainly checking for errors in the deduction amounts and arithmetic to ensure the returns are processed correctly. There is a small chance that your income tax could be audited by the IRS, in which case they will ask you to bring in supporting documents. Audits are designed both to ensure the tax returns are using all the correct values, and to prevent fraudulent claims. Audits can happen up to 6 years after your taxes have been filed, so you should be sure to keep all your supporting documents for at least that long. Most states also levy an income tax, but the actual tax amount and thresholds will vary quite a lot from state to state. Steps for filing state income taxes are very similar to the federal taxes, and generally require the same documentation (which is why you will typically receive 3 copies of a W-2 form). There are currently seven states with no income tax: Alaska, Florida, Nevada, South Dakota, Texas, Washington, and Wyoming. States that do not charge income tax make up for the lost revenue through other channels, usually sales taxes and use taxes (in fact, states with no income tax typically charge their citizens higher total taxes than those who do have income taxes). 1 of 3) If you are a regular employee of a company, what form will your employer give you to show your income and taxes withheld? 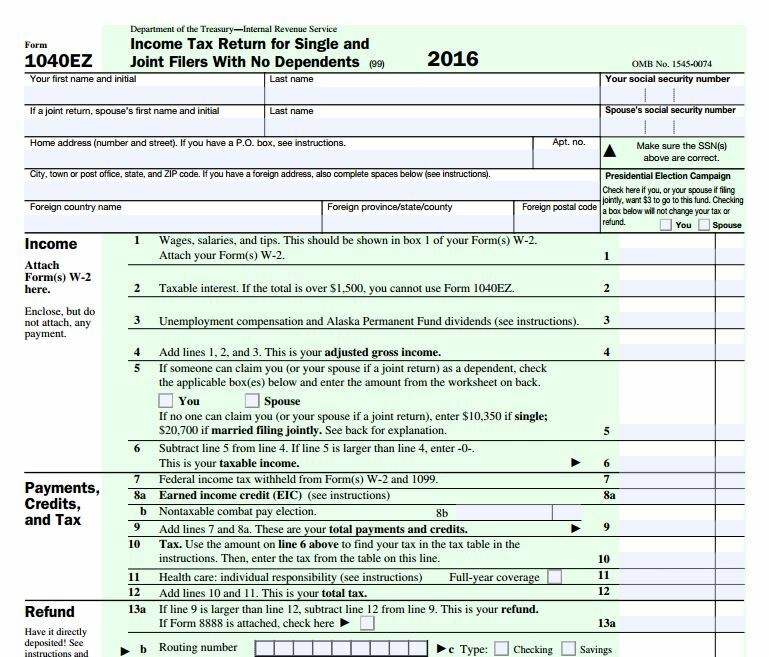 2 of 3) Which condition disqualifies a person from using form 1040-EZ? 3 of 3) How long can the IRS wait before announcing an audit of your tax return?